World number one Murray, who saw his rival and six-time men’s singles champion Novak Djokovic get knocked out yesterday by Uzbekistan’s Denis Istomin, picked up a straight sets win over the United States’ Sam Querrey in the third round of the Grand Slam in Melbourne. In the women’s singles side of the competition, defending champion Kerber lost just four games as the German defeated Kristyna Pliskova of the Czech Rep. It took one hour and 59 minutes for Britain’s Murray to see off Querrey, the man who knocked out Serbian Djokovic at last year’s Wimbledon Championship, with the 29-year-old combating a fast start from his opponent, saving a break point in the eighth game, to win 6-4, 6-2, 6-4. “Sam, particularly in the first set, was hitting a huge ball,” Murray said. He will face Mischa Zverev in the fourth round after the German beat Tunisia’s Malik Jaziri 6-4, 4-6, 6-3, 6-0. Murray will be joined by another Briton in the second week of the men’s competition after Dan Evans, who won against seventh seed Marin Cilic of Croatia on Wednesday, kept up his good form. The 26-year-old from Birmingham knocked out another seed in the shape of Australia’s Bernard Tomic, the 27 seed, in straight sets 7-5, 7-6, 7-6. It is the first time Evans, ranked 51st in the world, has made the fourth round of a Grand Slam and he will meet 2008 runner-up Jo Wilfried Tsonga after the Frenchman beat US number two Jack Sock. Also in the men’s draw, Switzerland’s Roger Federer continued his quest for an 18th Grand Slam title as he knocked out 10 seed Tomas Berdych of the Czech Republic 6-2, 6-4, 6-4. Kerber took just 55 minutes to win against the world number 58 and raced through the first set without conceding a game. Pliskova steadied herself in the second set, but Kerber still managed to find the break she needed to round it off 6-4 inside the Rod Laver Arena. “I tried to stay very focused because you never know what could happen,” the 29-year-old said after her victory. 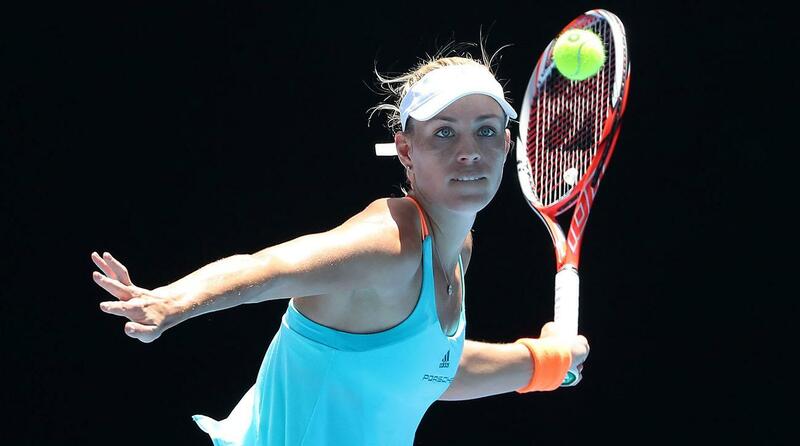 Kerber will face unseeded US player Coco Vandeweghe in the fourth round after she came through a tough battle with Canada’s Eugenie Bouchard 6-4, 3-6, 7-5. Last year’s French Open winner Garbine Muguruza will also be in the next round after cruising past Latvian 32 seed Anastasija Sevastova 6-4, 6-2. Venus Williams made it to the fourth round as well after the American, who lost in the 2003 women’s singles final to her younger sister Serena, thrashed China’s Duan Yingying 6-1, 6-0. Ukrainian Elina Svitolina was the day’s biggest casualty as the 11 seed lost to 24 seed Anastasia Pavlyuchenkova of Russia, who won a three-set battle 7-5, 4-6, 6-3. She will face fellow Russian and eighth seed Svetlana Kuznetsova in the fourth round after she won against Serbia’s Jelena Jankovic 6-4, 5-7, 9-7. The third round matches continue tomorrow.